With Labor Day behind us, it’s time to make way for fall ~ changing leaves, cooler weather and shorter days. At Chocology, the fall season conjures up memories of comfort food. Remember coming in from raking the fallen leaves in the yard to the smell of autumn soup simmering on the stove? Or, the aroma of homemade bread baking in the oven? We love those memories and enjoy making new ones each year. To commemorate the emergence of fall we thought we would bring you a much loved fall comfort food recipe. It combines the essence of autumn with . . . can you guess? 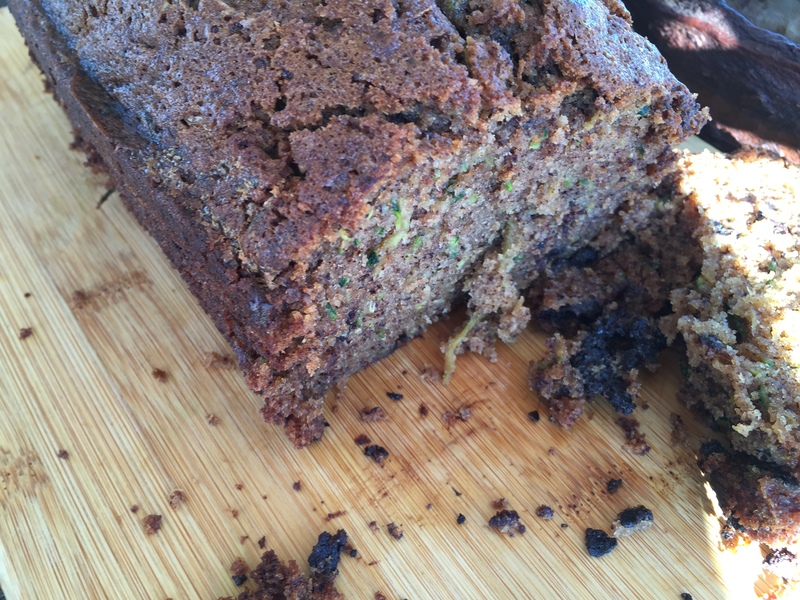 Perhaps you’ll add this chocolate zucchini bread recipe to your repertoire of comfort foods. We think you’ll be glad you did. In a medium bowl mix eggs, oil, vanilla, sugar and zucchini. 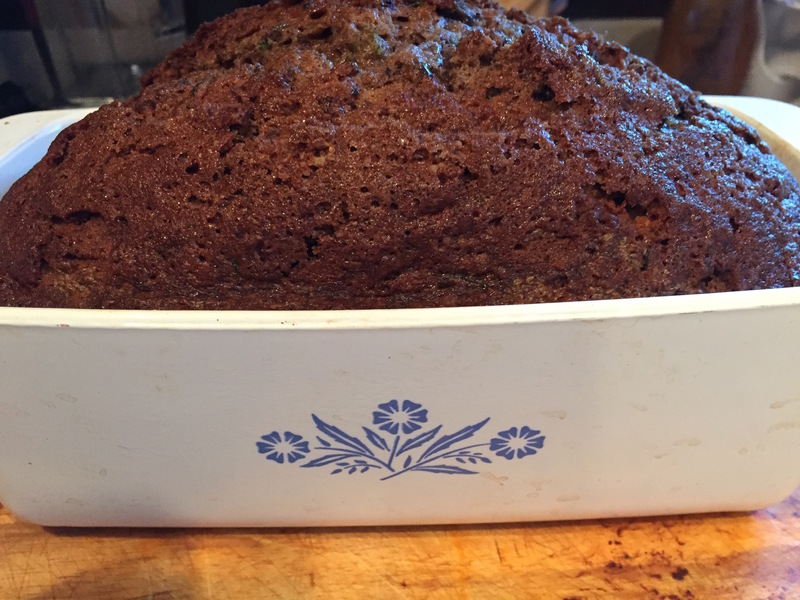 Pour into two greased 5″ x 9″ loaf pans. We made this delightful bread for our customers at the Farmer’s Market this past Sunday and it was wildly popular! Some asked if we could start selling it. Parents of young children were so excited that they could actually get their kids to eat zucchini. But of course, we know everything goes better with chocolate – even zucchini! 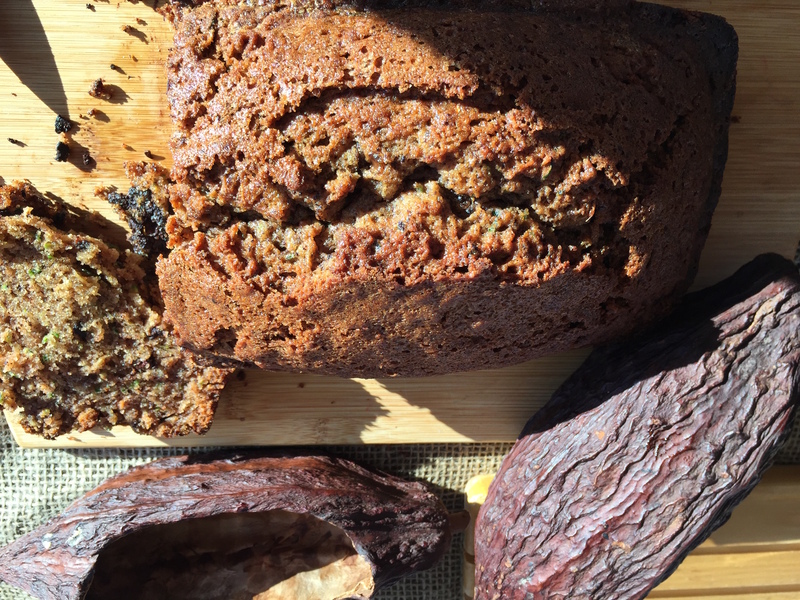 Will you be making chocolate zucchini bread this autumn? If so, we’d love to hear about it! Or better yet, post us a picture! Maybe you have a favorite fall comfort food recipe of your own? Please share with us here in the comments, on Facebook or Twitter. Enjoy the changing season! And remember to eat lots of chocolate.